When people think of domestic violence, physical abuse often comes to mind. 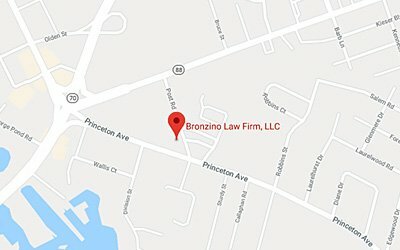 New Jersey courts have been giving the topic and concept of domestic violence the attention and respect it rightly deserves, particularly as it relates to actions that may occur in the home or between a couple that may not fall into the “cookie cutter” physical abuse that domestic violence often and unfortunately represents. Beyond the intoxicated husband striking his wife or the controlling lover that does not take the break up well, the courts have looked at and defined certain actions that are not as obviously criminal acts and determined that they could still be charged and prosecuted. An individual could be committing domestic violence by abuse inflicted physically, emotionally, psychologically, and even by destroying property. New Jersey law addresses situations of the destruction of marital property for spite, in anger or for revenge under criminal mischief that falls under the Prevention of Domestic Violence Act. 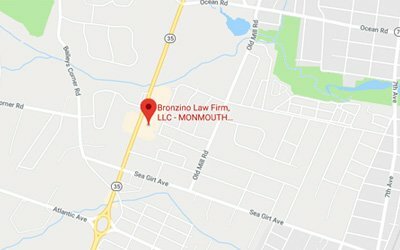 The Bronzino Law Firm LLC has effectively used the law to represent and protect clients against domestic violence in many communities across New Jersey including Asbury Park, Neptune, Wall, Manasquan, Point Pleasant, Brick, Jackson, Sea Girt, and all of Monmouth County, Ocean County and across the Jersey Shore. Contact our Brick or Sea Girt offices today by calling 732-812-3102 for a free and confidential consultation regarding your situation. The destruction of a significant other’s property is addressed under New Jersey statute, N.J.S.A. 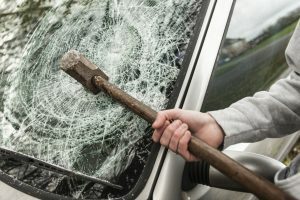 2C:17-3(a)(1), which states that an individual is guilty of criminal mischief if he or she “purposely or knowingly damages tangible property of another.” This can take the form of destruction of clothing or household items, vandalism of automobiles and even, in extreme cases, the burning of a marital home or other property. The destruction of shared property falls under the criminal mischief section of the Prevention of Domestic Violence Act. The Appellate Division case H.C.F. v. J.T.B., (A-5618-14T3 (App. Div. Sept. 7, 2017), addressed a situation where a husband and wife, though separated, still resided together in separate rooms in a three bedroom marital home. The husband was accused of and admitted to damaging both the home as well as marital property that was in the possession of his wife. This included punching holes in a door, destruction of a doorframe and the damaging of stereo speakers. The husband claimed that because the property technically belonged to both of them that he was within his rights to do with these items as he pleased. The Appellate court did not agree. The appellate court issued a restraining order on the grounds of criminal mischief. Despite both parties technically owning the house and the stereo equipment, the trial court noted that still did not give the husband the right to damage property in the house because both of the parties had an undivided interest in the home and the property. The Appellate Division cited N.T.B. v. D.D.B., 442 N.J. Super. 205, 222 (App. Div. 2015), to support finding that damage to a spouse’s undivided interest in the home as a tenant by the husband constituted the predicated act of criminal mischief. In this case, the Appellate Division turned to the model jury charge for criminal mischief, which instructs trial judges, “where appropriate, to charge that property of another includes property partly owned by defendant in which any other person has an interest which defendant is not privileged to infringe.” Thus, the damaged property, despite being located in the marital home, were the “property of another” under the statute and found the husband’s conduct constituted criminal mischief and supported a finding of domestic violence. The attorneys that make up the Bronzino Family Law Team understand the dangers that domestic violence represents and how easily an incident or series of incidents can escalate from what one might consider minor to a highly volatile and dangerous situation. Whether physical, verbal, emotional, or even through the damaging of mutual owned property; none of these acts should be taken lightly. Our experienced criminal law attorneys have the knowledge to help guide you if you have been the unfortunate victim of domestic violence or you are facing charges based on criminal mischief and/or the damaging of property. We are here to walk our clients through the often complicated legal process and provide client-centered counsel every step of the way. If you or someone you know has had their marital property damaged or destroyed by an angry spouse please contact our Brick or Sea Girt offices today by calling 732-812-3102 for a free and confidential consultation.